July 1 is the official beginning of the new Rotary Year. In Rotary therefore, July 1 could be called New President's Day because that is the day that the new term of for a the incoming president of Rotary International begins and every club in the world has a new president. Because of the Independence Day Holiday, July 4, the first official duty for the president of RB Sunrise Rotary Club is the opportunity to ride in the Spirit of the Fourth parade. 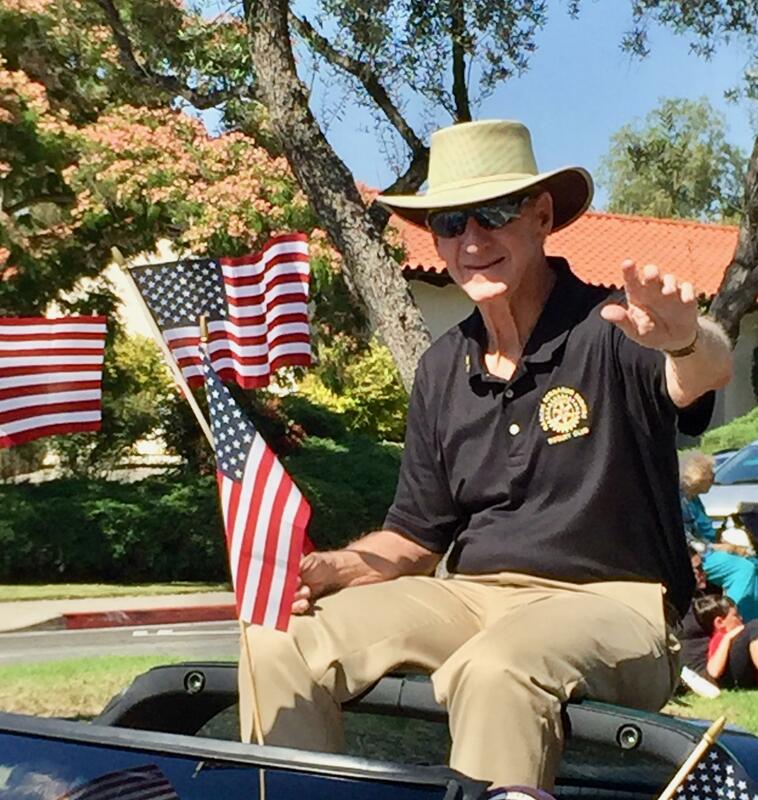 This year 2018-2019 RB Sunrise Rotary President Mike Moffat rode in his Corvette in the parade. As a result, every year the new president of RB Sunrise Rotary Club has as his first official duty, the honor of representing all of us by riding in the Spirit of the Fourth Parade in RB on Independence Day, July 4. You should come down to meet Mike and the rest of the gang at our weekly breakfast meeting. Each Tuesday we gather at the Rancho Bernardo Country Club for friendship and to find ways to give back to the community. We'll be there next Tuesday, 7am-8:30, and hope to see you there. And be sure to connect with us on Facebook to keep up on all our activities.